This is one of my favourite Sunday morning breakfasts. This was introduced to me while I was on my honeymoon in Croatia. My mother in law uses wild asparagus in her scramble, but as we don't have them here, I use normal asparagus, especially when you can find thin ones. 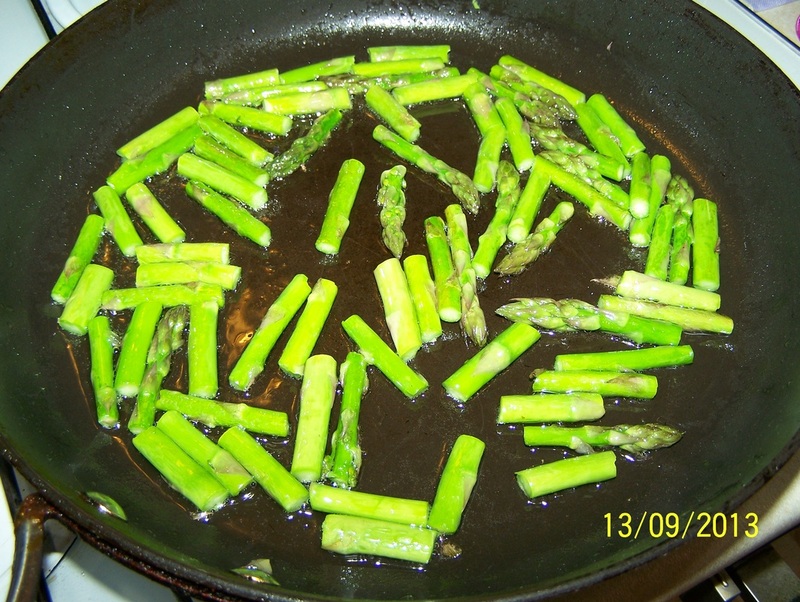 If you cannot find thin asparagus, simply add a little water into the frying pan at the beginning of the cooking process to start them cooking. Either allow the water to evaporate (if you only put a little) or discard the water after 3 minutes or so of cooking, then add oil and continue following the recipe. I have put this under breakfasts, but I am happy to have this for lunch or even as a light dinner with a salad. 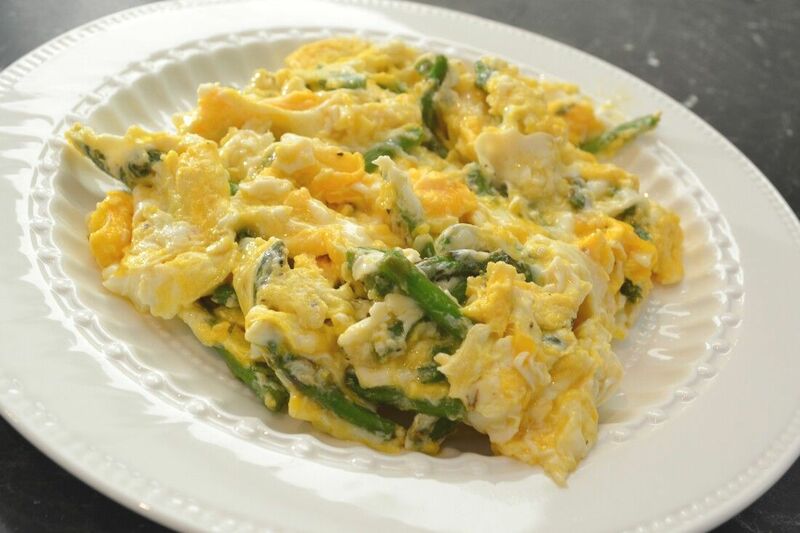 Not sure what it is about eggs and asparagus, but it works, super simple, if you love asparagus, give it a try. Add oil to a frying pan. Add the asparagus, over medium heat, cook the asparagus for 4-5 minutes. 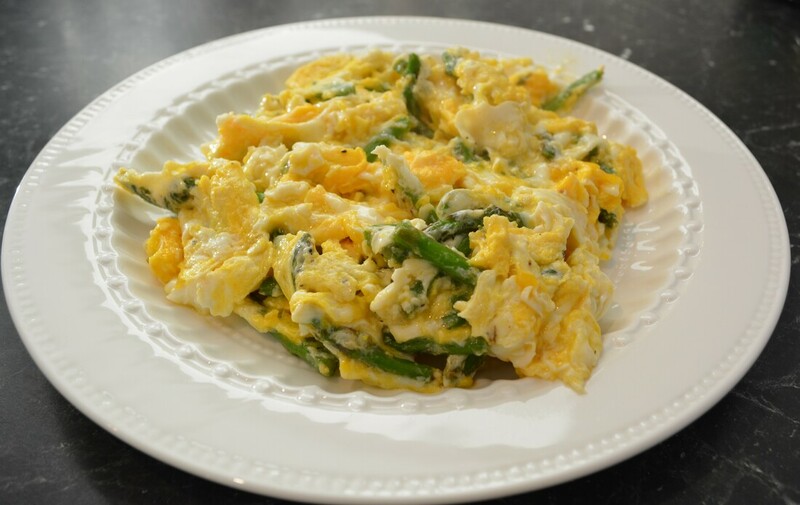 Pour the eggs into the centre of the frying pan, allow them to start setting for about 30 seconds then, with a spoon or egg flip, gently break the egg yolks and stir the eggs through the asparagus. I like it when there are bits of yolk and bits of egg white through my scramble, so don't over mix it. Season generously with salt and pepper, or to your liking. Keep moving the eggs around until cooked to your liking, place on your serving plate. I like to take it off, just before the eggs are completely cooked, as the residual heat keeps cooking the eggs.